Next up on my fashion inspo series is the absolutely brilliant Kelley O'Hara. Star of the Utah Royals and the USWNT, Kelley is one of the world cup winners in 2015 and has been one of my favourites for a very long time. Not only do I love Kelley for what she can do on the field, whether it is as a defender or a forward she really gives 100% , but I also love Kelley for the fun interviews she puts out and how down to earth she seems. Kelley also has a brilliant sense of style whether it is a casual look or a smart look for an awards show or event. So here are a few of the looks of Kelley's that I absolutely love and would love to try put my own spin on one day. 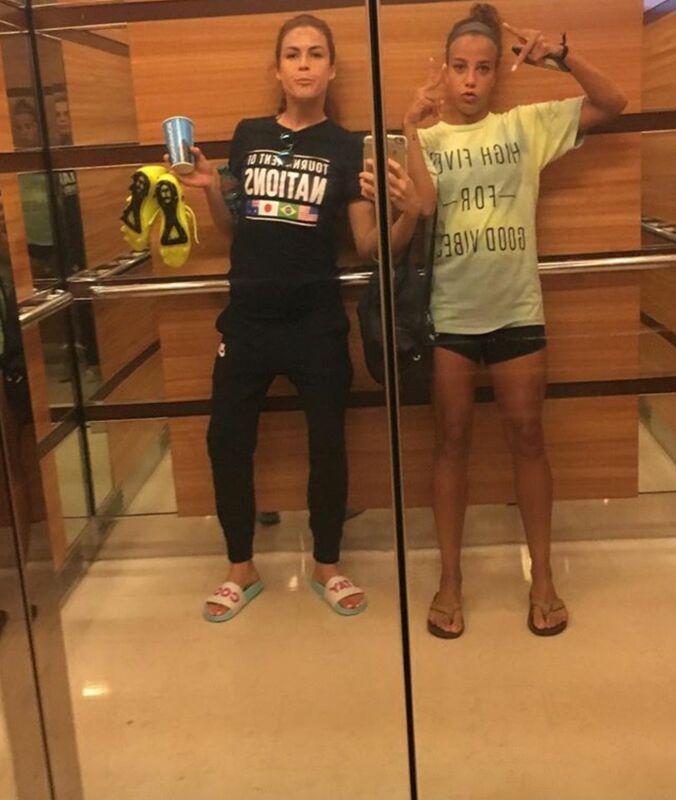 Kelley is on the left here and this is a super casual look I love for just lounging around or doing those quick jobs that you don't need to dress up for. This would be perfect for nipping to the supermarket, sitting at home playing games in or even after a workout in the gym. I seem to live in my slides these days whether it is going out in the garden or nipping for a McDonald's, but I am trying to cut back on the fast food and actually get working out again, so I would team my slides up with a pair of skinny joggers and a loose fitting t-shirt to go home from the gym in. I just need to get myself some skinny joggers now that aren't ones I would wear for an outdoor workout and that are easy just to through on. Kelley does a lot of work for Under Armour as she is sponsored by them, which really brought Under Armour to my attention. I hadn't really considered trying any of their products until I saw Kelley wear them as the products look brilliant. If I am aiming to get back into the gym I need to invest in some quality items and Under Armour seems like it could really tick the boxes. The above look is one of my favourites as it is a coordinated outfit and looks super comfortable for working out in. I wouldn't dream of wearing anything like this at the moment as I really wouldn't want to show any skin like this, however as I get rid of the weight and tone up I think I will get more and more confident and would dare to give this a go. The good thing is Under Armour also do some really nice shorts and leggings as well as t-shirts so there definitely is an option there for me. Again Kelley is on the left of this image, and this look is one I definitely want to try out this autumn. I love the shirt under the jumper and team this up with some nice skinny jeans or possibly chinos and some nice trainers or boots, I would be good to go. Also if it dropped colder a smart jacket would look perfect over this. I think I love this look as it isn't masculine and is pushing on the feminine side a little. The perfect look for a tomboy, or someone going for a smart casual look. I am more of a flannel shirt kind of girl when the weather changes but this year I want to try something new. This look is one of my favourites especially as an everyday look.An oversized jumper with a top underneath, teamed up with some skinny pants and fresh shoes and a beanie, you are good to go. This would be perfect on a coffee run, shopping trip or a nice walk in the autumn leaves. 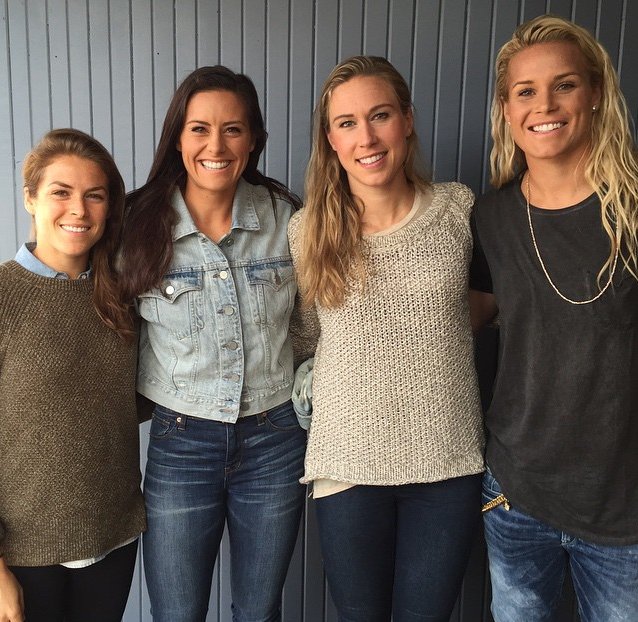 Kelley seems to pull off this look so effortlessly and to be honest she does with anything she wears. I love how she has the beanie to match the sweatshirt and how everything just seems to flow so well. 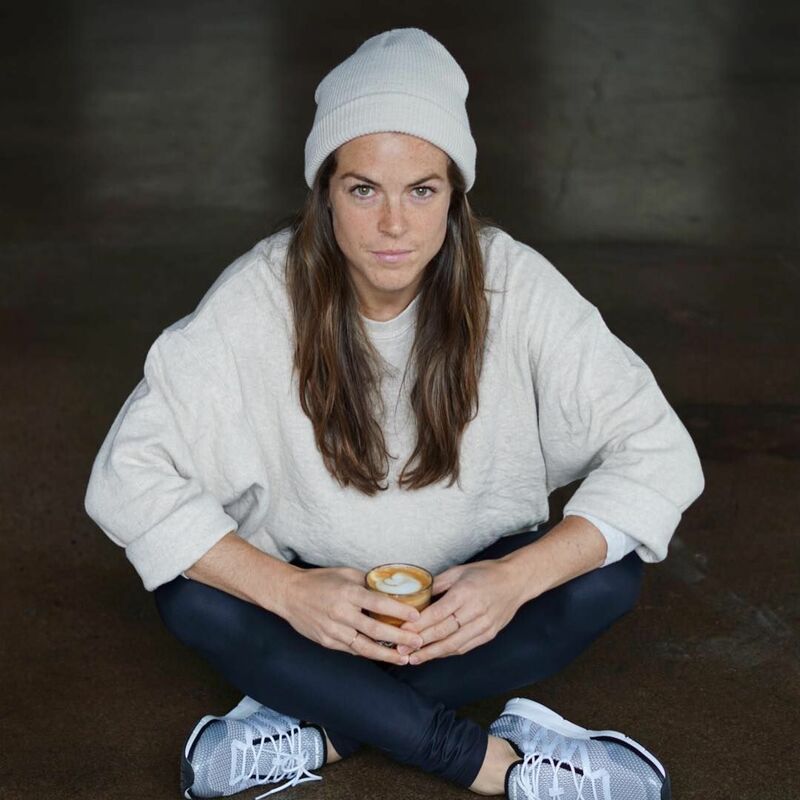 Kelley seems to be able to work a number of different outfits, whether she has just finished a training session, during a training session, having a casual day off or going to an event. I just hope one day I can build a wardrobe like hers and totally own what I wear. As Kelley is one of the people I look up to a lot this definitely won't be the last you see of her on here. I have a few more ideas for posts including Kelley so keep an eye on those.